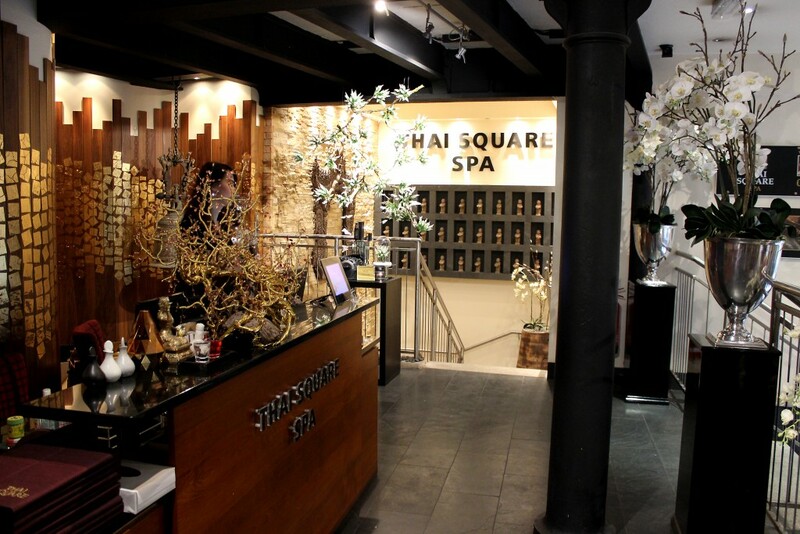 Last week Thai Square Spa invited me down for a tour of their Covent Garden spa and to enjoy my first ever Thai massage. They let me bring along a +1 so I organised our trip to coincide with the Cosmo Blog Awards and Brogan kindly came along with me the day after our party – what a perfect way to relax after a few cocktails the night before if I do say so myself! I’d been meaning to try The Thai Square Spa for around a year so I was incredibly excited to see what they had to offer and to see how the Thai massage technique varied. Located in Covent Garden next to The Cambridge Theatre (home to the amazing Matilda!) 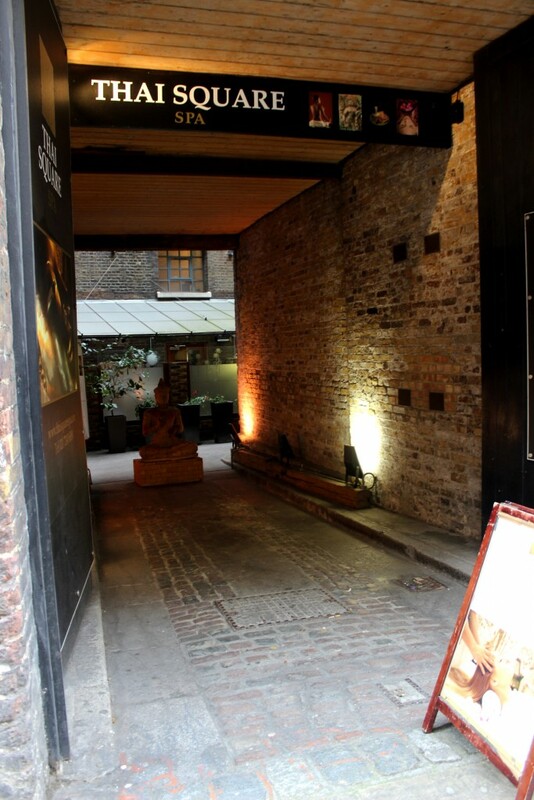 The Thai Square Spa is tucked away down a cobbled streets set away from and underneath the busy streets of London. We walked in to be greated with a beautifully ornate lobby, plush sofas, tasseled curtains and the most stunning aroma. We filled out our health forms and took a look at the lovely products you could take home from the spa including a gorgeous Hand Crafted Thai Oil Burner that would have looked beautiful in our living room! With two chairs in the bright lobby ready and waiting for luxury manicures and pedicures. 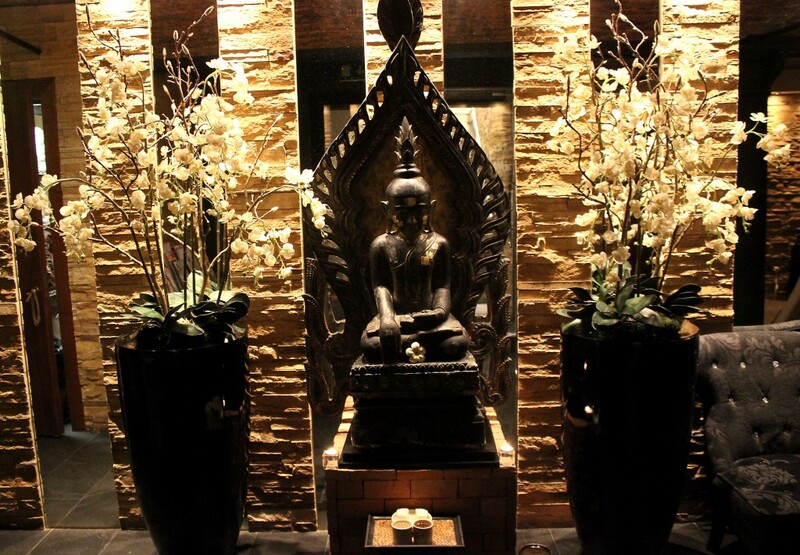 The Thai Square Spa is incredibly intimate which I love – it would be the perfect place to take your BFF for some pampering and a good old catch up or for a date day with the other half. We were booked in for Ritual Massages at £75 for 1 hour using essential oils and combining various oriental massage techniques. We were led downstairs, swapped our boots for flip flops and head into the changing rooms to get ready for our treatments. 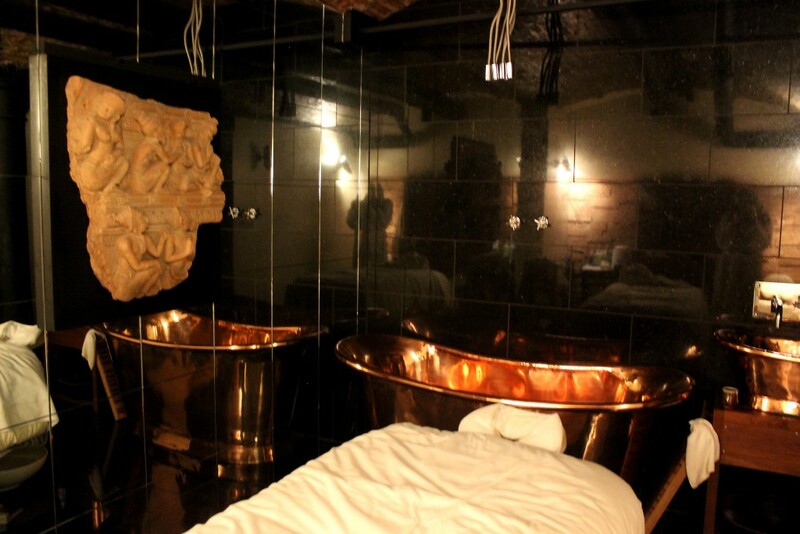 Once in our robes our therapists led us into the stunning treatment rooms with large mirrors, copper baths (want!) and large very comfortable beds. There were about 6-7 treatment rooms from what I could see downstairs in the spa which again added to the intimate feel. We started with a beautifully warm and floral smelling footbath and I wandered over to the bed for my treatment. My Ritual massage at Thai Square Spa was incredible and completely different to any massages I’ve had before. It was firm but smooth and perfect for my aching muscles. We concentrated on my shoulders, lower back and legs which left me feeling like I was walking on air – the oils smelt amazing and I was really impressed with the whole experience, my hour flew by and I felt so chilled after we finished. My therapist bought me some water after our treatment and I relaxed on the chairs outside the room until I felt ready to get changed and step back outside into the city. Thai Square Spa is a real haven in the centre of London and I just wish it was a bit bigger as I could have stayed there all day relaxing, drinking green tea and enjoying more of their treatments. My massage was a little on the expensive side compared to some of my other favourite spas but it was worth the money and I would love to come back and try out a full traditional Thai massage or a hot Jade Stone Treatment. The Thai Square Spa are opening another spa on Northumberland Avenue very soon – I’ll certainly be heading down to check that out when it opens, what a lovely experience all round. 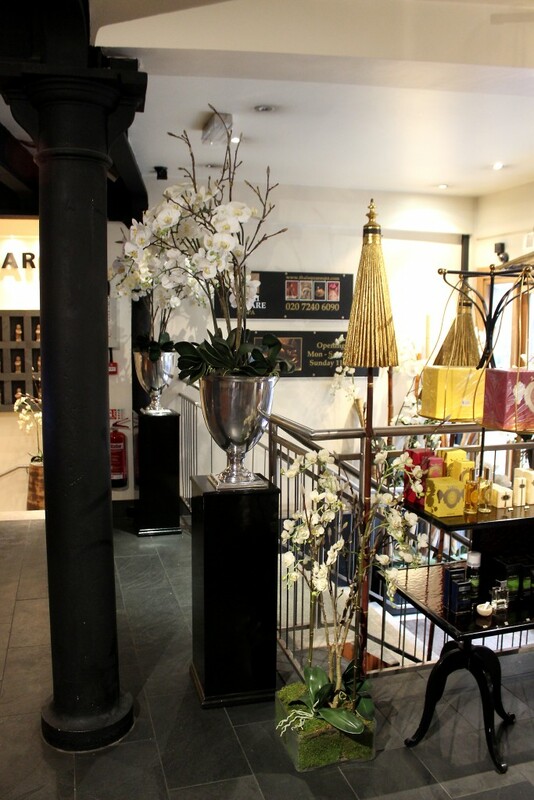 Take a look at the full range of treatments and offers at Thai Square Spa here. 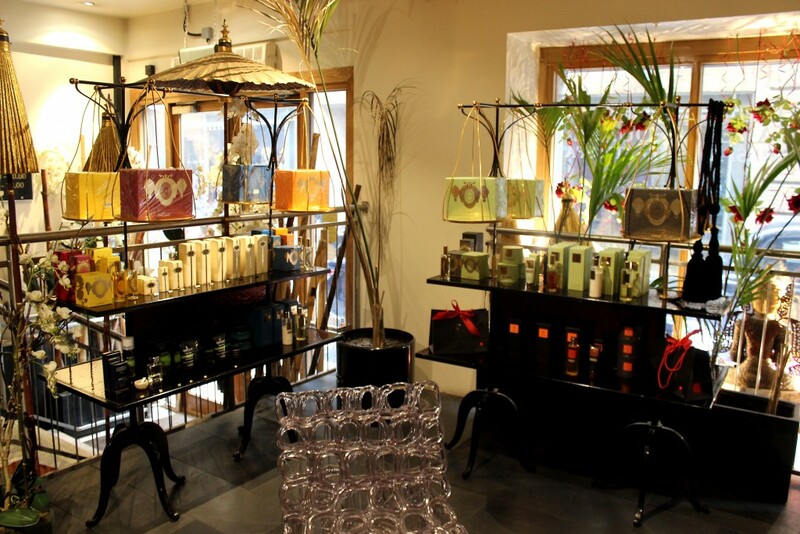 Have you visited Thai Square Spa in Covent Garden yet? What would be your treatment of choice?! Leave a comment below or tweet me @xameliax #thaisquarespa – I’d also love to hear any other spa recommendations in London too!